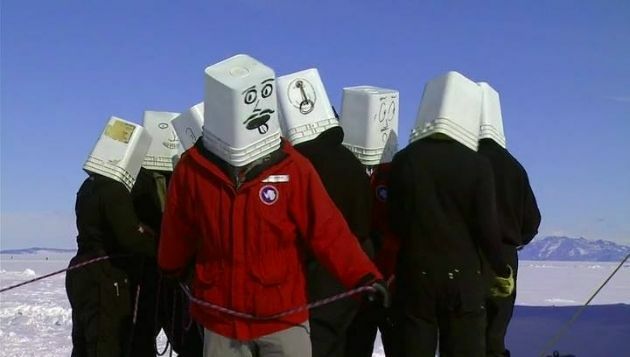 Antarctica attracts both knickknack of eccentric transients from all walks of life and passionate scientists. It's a perfect place for Werner Herzog, a filmmaker who is known for making films about extreme environs and extreme personalities. This being a Herzog doc, visually it's a treat- both under and over water of the wonderland that is Antarctica. Herzog is obnoxious as ever, as he cuts in his subjects' rambling and narrates over them. He then asks a solitary zoologist nutty questions like, "Are there any gay penguins? ", "Does insanity exist among penguins?" and cuts to a disoriented penguin walking briskly toward the inland, then he grimly points out that it's walking to its obvious demise. The thing is, I can listen to his cynical view(with his thick German accent) on the fate of humanity in the unforgiving nature, all day. It's music to my ears. It gives me hearty belly laughs every time. Encounter is thoroughly entertaining. Herzog's music choices to go with otherworldly visuals are exceptional as always. It ends with one of the eccentric residents of the icy continent, forklift operator/philosopher saying, "through our eyes, the universe is perceiving itself, and through our ears the universe is listening to its cosmic harmonies, and we are the witness through which the universe becomes conscious of its glory." Indeed. My Son My Son, What Have Ye Done?